A chance to get a fine selection of our goat milk ice cream delivered from our freezer to yours! You choose the six beautiful flavours of your choice which we will package up and send them to you. Once in your shopping cart you can choose your delivery day. The ice cream will need to be unpackaged and put in to a freezer by 6pm on the delivery day. Please make sure this is possible before ordering. If your Local why not get it today by checking our stockists page? 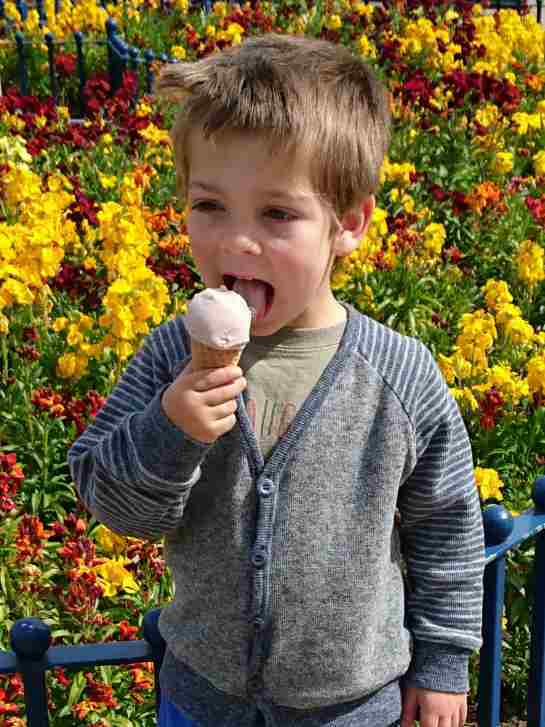 All our ice creams blend our lovely mild goats milk with two types of sugar and free range egg yolks. 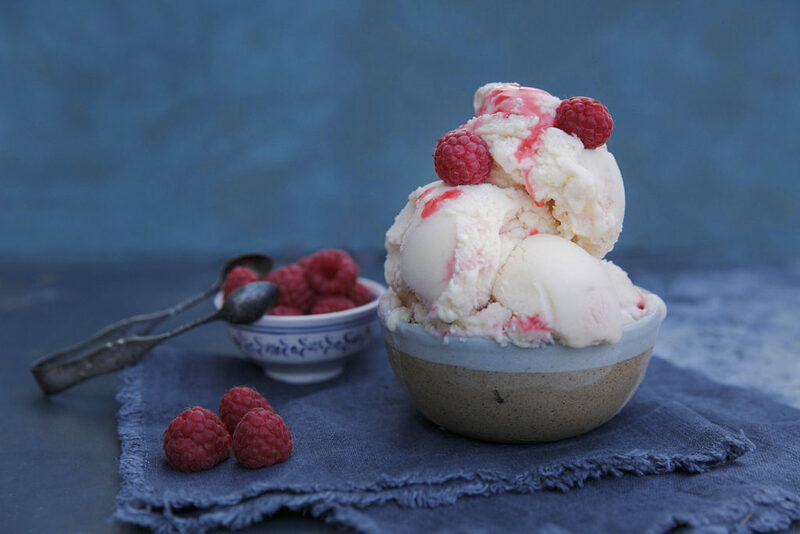 This creates a light but rich ice cream often described as “having a texture somewhere between sorbet and traditional ice cream”. 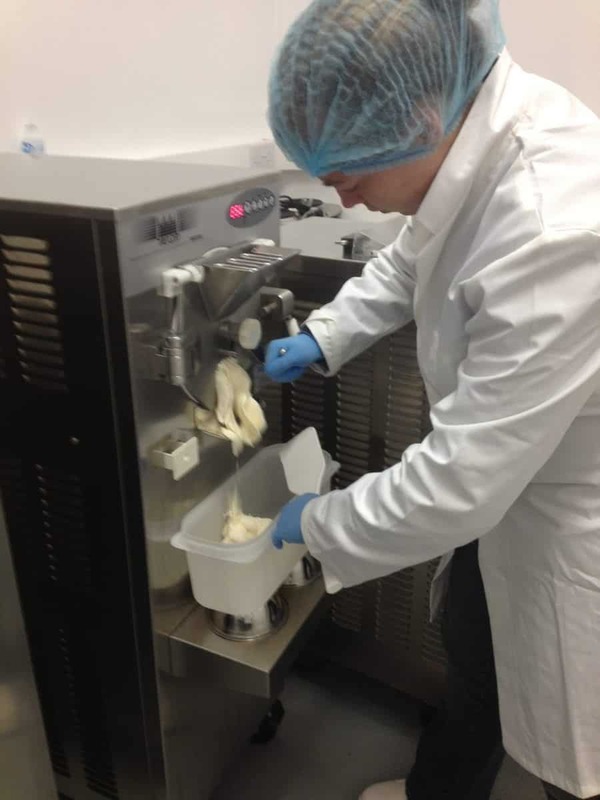 Our goats milk ice cream is all about food meters not miles, from milking parlour to production room is just 5 meters. Down the field if our free range hens aren’t laying then we will use eggs from local farms. Not just any chicken farms though as all have personally been vetted by us for hen happiness! 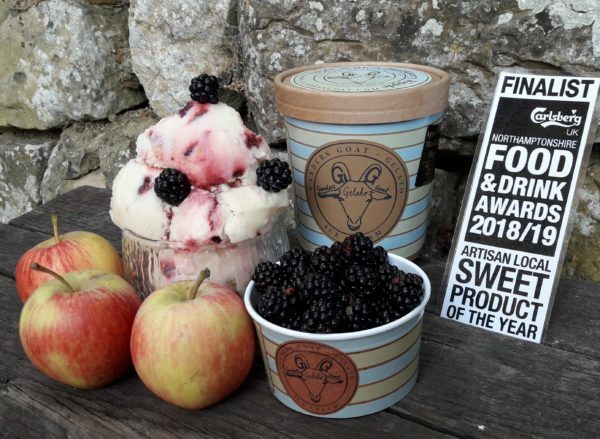 Flavours are wherever possible sourced locally with many being grown on the farm or in our own hedgerows, vegetable patch or orchard. Better for you, better for the environment! 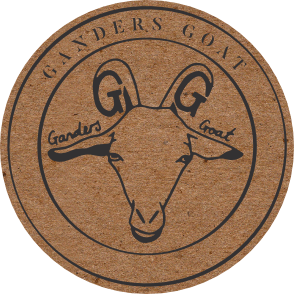 At Ganders Goat we feel that the environment comes before profit. That is why we are the first (we believe) ice cream producers to use compostable packaging throughout our range. It doesn’t stop there, our insulated courier boxes don’t use polystyrene as an insulator, instead we use a sheep wool based product that is fully compostable (or reusable to stuff cushions and pet beds). This is housed in a commonly recycled plastic liner to keep the ice cream tubs in the best condition as they hop, skip, and gamble their way across the country to you. We have done our best to make sure our product can get to you in best possible condition no matter what the weather. BUT in extremely high summer temperatures we reserve the right to postpone deliveries. UK mainland only, some postcode restrictions apply to remote locations of Scotland. Please ask first if you feel this may apply to you so we can check with our delivery firm. All the tubs are 450ml in size or approximately a pint if you prefer. Fat level is about 6% with a sugar content of 14%, this will vary depending upon flavour.